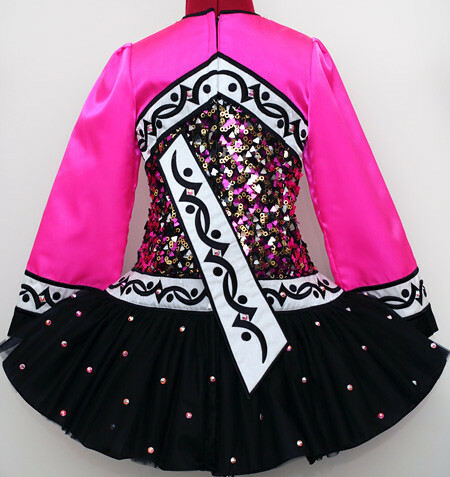 Dropped waist at seam: 30½""
Amazing multicoloured spangle sequin bodice highlight the colours in the rest of the costume. Sleeves and top of bodice constructed from fluoro pink twinkle satin with pretty white and black embroidery design across bust line and sleeve cuffs. 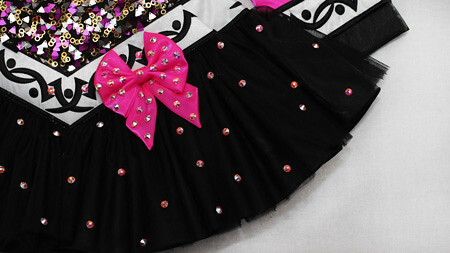 Modern style tulle skirt constructed from matching black tulle and twinkle satin. 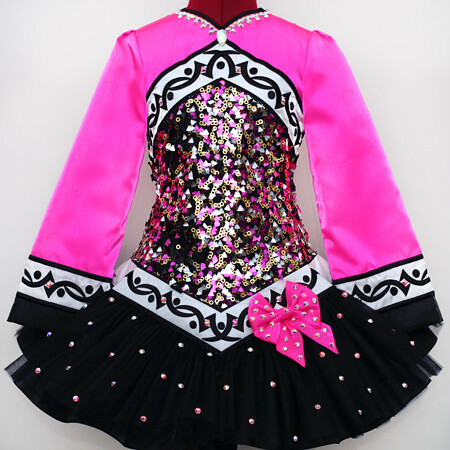 Gorgeous pink bow attached to left side of dropped waist point. Stiff asymmetrical white shawl featuring matching black embroidery. Black and white polka dot cotton underskirt lining.